Kathleen Louise Kalen, age 70, of Westminster, CO, passed away on Sunday, December 17th, 2017 in the arms of loving family. She was born March 2nd, 1947 to the late Pierre & Bertha Archambault in Denver, CO. She graduated from Bishop Machebeuf High School and later earned her nursing degree from Mercy Hospital in 1968. Kathy married John Kalen in 1969 and lived in California for a short time before settling down in Arvada, CO where she raised her four children. In 2014 Kathy retired from the State of Colorado where she spent nearly twenty years with the Department of Natural Resources. She was a familiar and well-loved face who was known for her friendly demeanor, her willingness to help, and her high ethical standards. 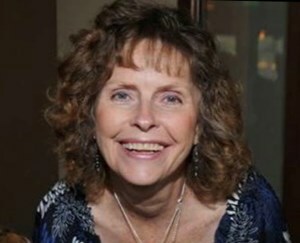 Kathy was an avid reader, lover of puzzles, and a devoted mother, grandmother, sister, and friend. In the past few years she spent some time visiting family and friends throughout the country and in July of this year, had the honor of walking her daughter down the aisle. Kathy is survived by three of her children: Michael Kalen, Nicole Pollack, and Paul Kalen, her seven grandchildren: Ashley, Alissa, Junia, Naomi, Brooks, Samantha, and Miles. She is also survived by two of her brothers, Bill Archambault, and John Archambault. In death, she is preceded by her parents, Pierre & Bertha Archambault, her son, David Kalen, her best friend and sister, Anne Huth, and her eldest brother, Pete Archambault.